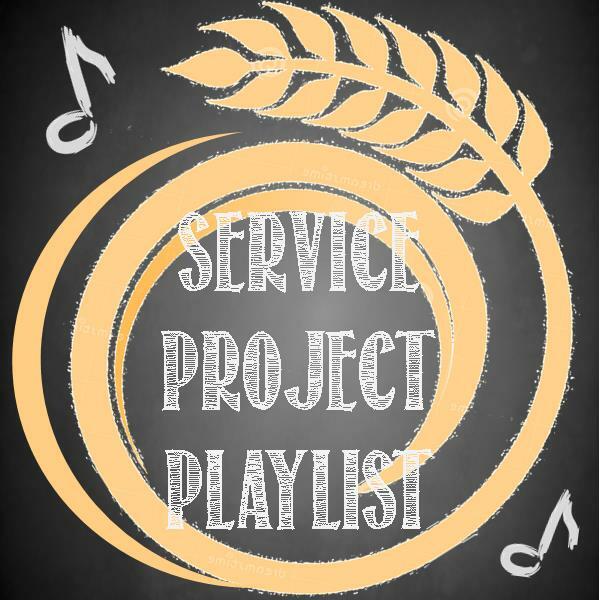 A few years ago, when Food Shelf Friday was new, I did a fun post about songs I like to listen to during service projects. The list was a bit small, and today I was thinking of more great tunes to energize and inspire while serving others, so I decided to brush it up and bring it back. Enjoy! 1. “Do Something” by Mathew West: I love the opening part when he’s complaining about all the trouble in the world and he says, “God, why don’t you do something?” God’s answer? “I did. I created YOU!” It’s an awesome reminder that God put us on this earth to be a blessing to others! 2. “Hands and Feet” by Audio Adrenaline: An oldie, but a goodie (2001, but I could swear it’s A LOT older). Audio A still appeals to this recovering grunge gen-Xer. 3. “Kings and Queens” by Audio Adrenaline: (not the original or newest version of the band, but the brief period when Kevin Max Smith from DC Talk was the frontman). This song is powerful, both lyrically and in presentation. The music video is fun too. It has the band and some Haitian kids having a snowball fight of sorts with color war powder. 4. “Shine” by the Newsboys: Another ’90s classic! It’s upbeat and joyful, and it talks about being a witness by the life-changing joy that springs from your relationship with God. 5. “Wherever We Go” by the Newsboys: Another great upbeat song about the joy and power of knowing the Lord. It’s ok to have fun as you serve the Lord and others! 6. “Give me Your Eyes” by Brandon Heath: Nothing inspires compassion like seeing the world through Jesus’s eyes. I don’t know about you, but I often miss opportunities to help others because I don’t think of it until it’s too late. So this song is like my prayer that I would see things how Jesus sees them: to notice needs and be moved to help. 7. “Fix my Eyes” by For King and Country: This is one of my favorite songs. It’s upbeat and powerful. The chorus lists wonderful acts of service that we all know we should be doing if we’re actively living out faith the way Jesus taught, and then it closes with the clincher, “…above it all – Fix my eyes on YOU!” I love that reminder; it’s easy to burn out trying to be good or do good things when you take your eyes off God and see only the world’s troubles. 8. “Evidence” by Citizen Way: I love the message of this song! “It’s not a flag on a field, not a sign in my yard. Not a cause that I join, not a phrase on a coin, it’s the change in my heart…” Love, acted out, is the true evidence of what we believe. 9. “What are You Waiting For” by Natalie Grant: Sometimes helping others is hard, and affecting real change can feel practically hopeless. But you do have the power to make a difference, so what are you waiting for? All of these songs can be found on iTunes, Spotify, or YouTube, so check it out! If you have additional ideas, share them in the comments! 1. 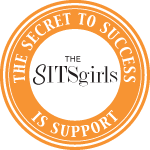 “Do Something” by Mathew West – I love that opening part when he’s complaining about all the trouble in the world and he says, “God, why don’t you do something?” The answer, “I did. I created YOU!” It’s an awesome reminder that God put me on this earth to be a blessing to others. 2. “Hands and Feet” by Audio Adrenaline. An oldie (2001, but I could swear it’s A LOT older), but a goodie. Audio A still appeals to this recovering grunge gen-Xer. 3. “Kings and Queens” by the new incarnation of Audio Adrenaline (not the newest version of the band, but the brief period when Kevin Max Smith from DC Talk was the frontman). This song is powerful, both lyrically and in presentation. The music video is fun too. It has the band and some Hatian kids having a snowball fight of sorts with color war powder. 4. “Give me Your Eyes” by Brandon Heath – nothing inspires compassion like seeing the world through Jesus’s eyes. I don’t know about you, but I often miss opportunities to help others because I don’t think of it until it’s too late. So this song is like my prayer that I would see things how Jesus sees them: to notice needs and be moved to help. 5. “Fix my Eyes” by For King and Country. This is my current favorite song. It’s upbeat and powerful. The chorus lists wonderful acts of service that we all know we should be doing if we’re actively living out faith the way Jesus taught, and then he closes with the clincher, “…above it all – Fix my eyes on YOU!” I love that reminder; it’s easy to burn out trying to be good or do good things when you take your eyes off God and see only the world’s troubles. So that’s my little playlist. I’m always looking to add songs as five go by too fast! Pretty much anything U2 has done in the last 25 years. The list goes on and on! Add your favorite volunteering anthems in the comments!